Our control panel which is based on SolusVM control panel allows for online management through your cell/mobile phone (Android and i-Phone). 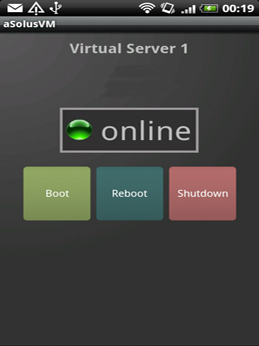 You can reboot your VPS, start, stop it or simply check its status directly from the convenience of your phone. Once you have installed the software to your phone, you'll need to login to your VPS control panel. 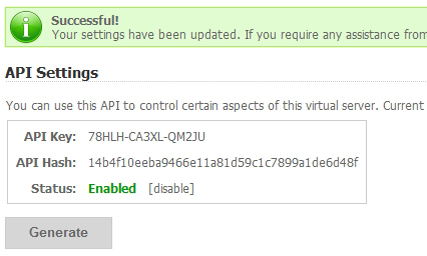 From your VPS panel select the VPS you would like to control from your phone then click on the API Settings icon. Click on the Generate button to get your API key and hash key. You should should see the following. Start the mobile application on your phone and enter the details which were displayed after generating a key and hash. If everything is correct you should now see something similar to below.